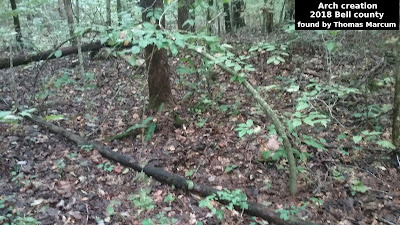 This Bigfoot sighting report comes to us courtesy of fellow researcher Michael Cook of Cook Cryptid Research. This report is in the general area were we both conduct research and I'm grateful to him for sharing it with us. 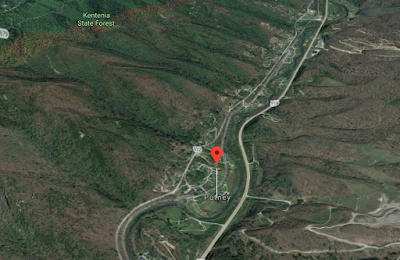 I rarely make it up to this end of Harlan county, so I'm glad to hear of a sighting from this area and happy to enter it into our database of reports. Witness states that she was looking out of a window of her home when her eyes focused on something looking back at her from approximately 100ft away from the home. She said the incident only lasted for 10-15 seconds before she ran to her mother in another room. She described the creature as being 7-8 feet tall, covered in long, shaggy, dark brown hair. Could not describe facial features. She obtains the notion that this was NOT a bear or any other known animal in eastern Kentucky. She also states that when she returned to the window with her mother, creature was gone, has not been seen since. Upon taking the report, and realizing where this took place, it is very close to the Putney Trail Head, where a few other sightings have taken place in the recent years. Most notably, the Ed Brown sighting took place just across the valley on the side of the mountain during February 2015. My first encounter happened years prior, but in a relatively close proximity (10 miles in a straight line through the mountains). Harlan County, Kentucky is located in the far southeast corner of Kentucky, near the Virginia line. Numerous unexplained encounters have occurred there and is a hotspot of Bigfoot encounters of The Appalachian Mountain Range. Once again, a thanks to Michael for contacting me and sharing the sighting report. 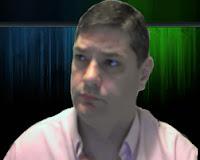 I also talked with Michael and he is planning a trip to the area. I will update this post, if needed, after his trip to the area.